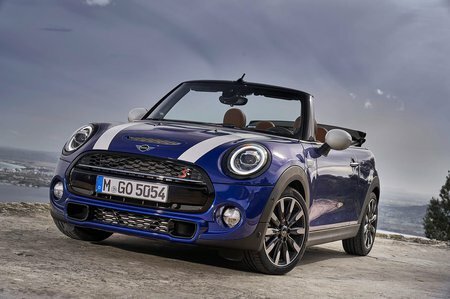 Mini Convertible Performance, Engine, Ride, Handling | What Car? The Cooper variant’s 1.5-litre unit is one of the finest three-cylinder engines currently in production. It’s very smooth and, because it’s boosted by a forceful turbocharger, pulls evenly from low revs and generates plenty of spirited performance when you rev it. Given its performance for the money, it's our pick of the range. If that doesn’t do it for you, then the 2.0-litre four-cylinder engines in the Cooper S and John Cooper Works models deliver proper hot hatch performance and sound pretty invigorating, too, especially if you flick them into Sport mode to unleash a few bangs and pops from the big bore tail pipe. They’re also extremely flexible, so you can be pretty lazy with your gearchanges and still make rapid progress. You do need to be quite precise with the manual gearbox, though, it’s not overly keen on fast shifts, but it’s tactile enough after a bit of practice. If you fancy a bit more of a laid-back approach to driving, the seven-speed dual-clutch automatic gearbox is generally smooth in auto mode and reacts quickly to manually induced changes. 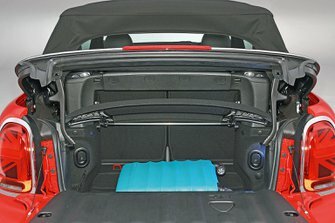 The Mini Convertible weighs 90kg more than its hatchback sibling and, with no solid roof to help hold things together, has considerably less structural rigidity. This has quite a dramatic effect on ride quality and general refinement. Although things are reasonably composed on smoother roads, driving over broken surfaces triggers uncomfortable seat vibrations, steering wheel judder and pronounced levels of body shudder. Overall, it isn’t as good to drive as its hatch sibling, or similarly priced two-seaters such as the Mazda MX-5. The steering is inconsistently weighted and very quick, so it feels nervous, and the car either wants to wash wide at the front or twitch from the rear when you try pushing it hard in bends. 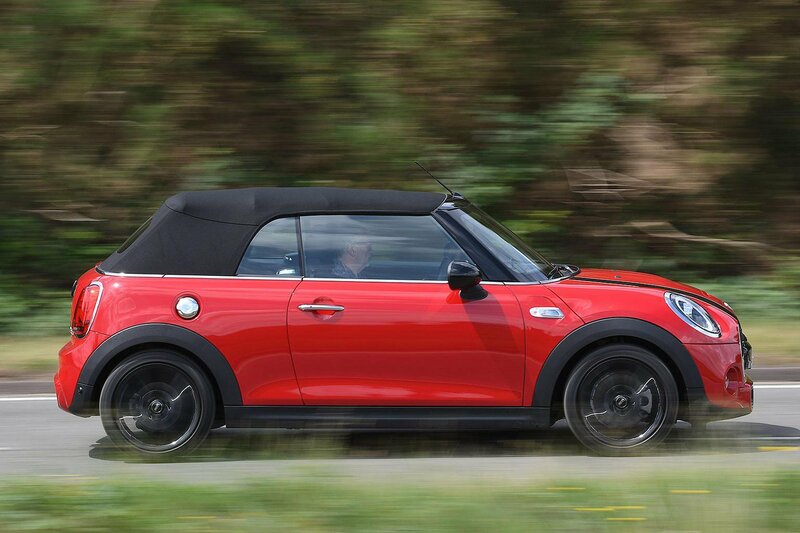 That said, body lean in the Mini Convertible is better managed than the DS 3 Cabrio and Fiat 500C. Roof down, windows up and optional wind deflector in place, the car does a brilliant job of isolating those in the front from wind bluster. And aside from the pronounced squeaks and rattles over bumps, as mentioned earlier, on a smooth motorway both wind and road noise are very well managed.